After spending over eight years in the Octagon and winning a total of sixteen fights under the UFC banner, Dustin Poirier will finally get his chance to seize UFC gold when he takes on reigning featherweight champion Max Holloway in an interim lightweight title bout at UFC 236. 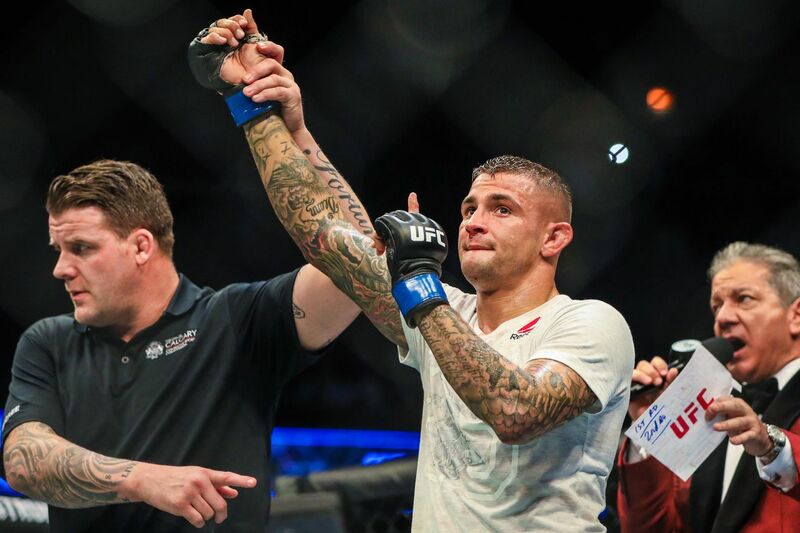 It’s been a long time coming but former WEC featherweight champ turned American Top Team coach Mike Brown thinks Poirier’s title shot couldn’t have come at a better time. Speaking to MMA Junkie’s Mike Bohn in a recent interview, Brown said ‘The Diamond’ is in the prime of his career and finally ready to win a world title and cement his legacy as one of the greatest fighters in the world. Speaking of UFC 236 opponent Holloway, who Poirier originally submitted with a mounted triangle armbar back in 2012, Brown teased that Poirier may look for another submission victory over the Hawaiian on April 13. With that said, Brown wouldn’t be surprised if Poirier overwhelmed and finished Holloway with pressure boxing and combinations, something which ‘Blessed’ has become somewhat of a specialist at in recent years.